Can an Investment Firm Help Increase U.S. Organic Farmland? The cost of farmland is prohibitively expensive. Iroquois Valley Farms, a socially conscious investment company, aims to help organic farmers get—and stay—in business. Ask a farmer what it’s like to start a business—let alone stay afloat—and you’ll receive a rapid-fire list of challenges, small and large, as long as your arm. Weather anomalies, pests, price fluctuations, securing loans, identifying a market and supply chain, finding labor and equipment, and developing an understanding of crop rotations and cover crops. But paramount among all of these is the matter of land access. Doug and his wife, Anna Jones-Crabtree, started their farm in 2009 on 1,280 acres—320 acres of which they bought outright with savings from their day jobs. They leased the rest, partly from Iroquois Valley Farms, a 12-year old investment firm with a mission to increase the percentage of organic crop- and rangeland in the U.S.
Doug Crabtree and Anna Jones-Crabtree. Photo courtesy of Vilicus Farms. According to Miller, Iroquois Valley has a backlog of applications from farmers across the country seeking to partner with them, an indication that secure leases from like-minded landlords are in high demand. In many regions of the U.S. the cost of farmland is exorbitant. Land in Montana is relatively cheap, but Crabtree says the dryness of the soil—it rains an average of 11 inches a year in his area—means that farmers there require about 10 times as much land to be viable as in the Northeast, which means expansion is expensive. In both cases—starting out or enlarging their operations—farmers often negotiate leases with neighbors or other landowners for a year or two at a time. 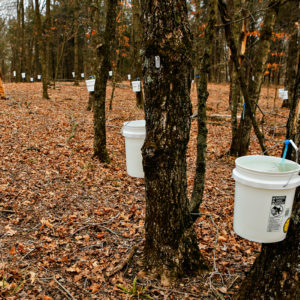 But that’s not usually a path to ownership or stability—especially for organic farmers, who are required to keep their land free of restricted chemicals for three years before they can earn U.S. Department of Agriculture (USDA) certification. Miller, a former vice president for First Chicago Bank, founded Iroquois Valley in 2007, after starting his own small, diversified farm. So far, the firm has invested $50 million, with dual goals to repair the soil on American farmland while profiting from the burgeoning organic market. In addition to organic grains and legumes, the farms it works with also produce pastured dairy, maple syrup, and forage crops like alfalfa for animal feed. Unlike other farmland investment groups, which make money directly off land value appreciation and return capital in five to seven years, Iroquois Valley’s investors must commit money to a fund that has no plans to sell the land; redemption rights allow investors to sell back to the company in seven years. Most Iroquois Valley leases also include a revenue-sharing clause for investors, according to John Steven Bianucci, director of impact for the firm. “We never guaranteed any distribution,” Miller told the New York Times in 2017. “We said, ‘Over time, you can expect your investment to increase as the farmers restore the soil and increase the value.’” The company’s 2017 fact sheet notes that original investors have earned a 12 percent initial rate of return. Farmers approach Iroquois Valley having identified the land they need to get started or to scale up. 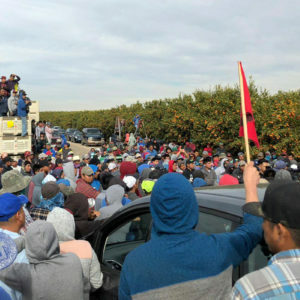 The firm buys it, then leases it back to them for five years, after which the lease renews every two years until either the firm or the farmer wants to make a change. This gives farmers who need to convert to organic a low fixed rent until they’re making more lucrative sales. The firm also makes it somewhat easier for farmers to buy the land directly, when the lease is up. Additionally, two years ago, it started offering mortgages with five-to-10-year payback plans, with no prepayment penalties, which means “a farmer can pay [it] off at any time,” says Teresa Opheim, Iroquois Valley’s senior vice president for farmer relations. “If you’re trying to change agriculture, how can farmers scale their business, convert dead soil to a living, regenerative model, and at the same time [quickly] pay back the amortization on loans?” says Miller. The firm’s model, he asserts, “allows farmers to grow through the beginning years”—so much so that over a quarter of them are repeat customers, approaching Iroquois Valley with new lease or mortgage requests. The opportunity to work with Iroquois Valley seems to appeal to younger farmers. According to the firm, 72 percent of its farmers are Millennials—like Ben and Kristen Beichler of Creambrook Farm in Middlebrook, Virginia, and Dan and Erin Richards of Taconic Ridge Farm in upstate New York. 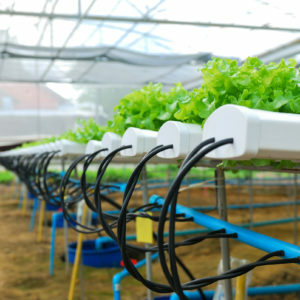 Scaling Up: The Future of Organic Farming? Perhaps a more important question: Will that kind of scaling up be enough to make a meaningful difference in the long-term tenancy and earning potential of organic farmers? David Haight, vice president for programs for farmer advocacy non-profit American Farmland Trust, is tempered in his assessment. 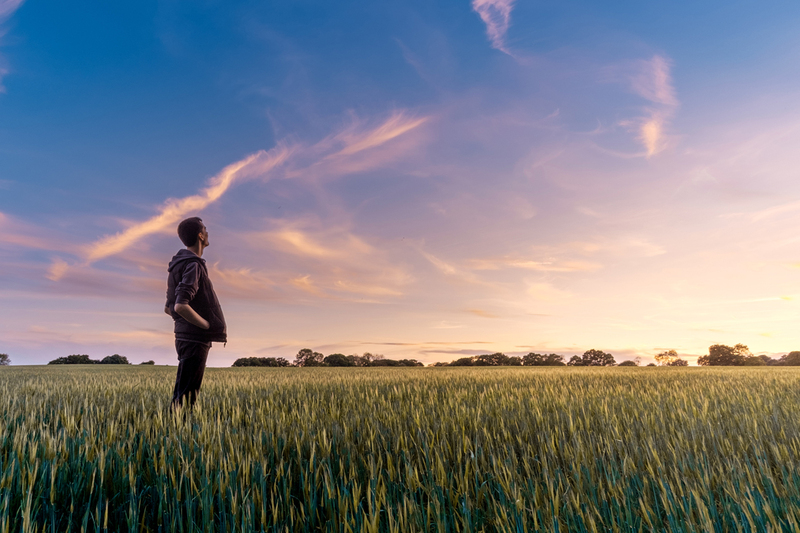 “Insuring a stronger future for farming is not incumbent on any single thing, although farmland investors that are genuine in their cause, and accept reasonable returns, can be a valuable tool,” he says. Haight points out that nationally, with over 30 percent of farmland owned by farmers over the age of 65, millions of acres will soon be changing hands. “But if the price of land is two or three times what you can make farming it”—which is a concern for fruit and vegetable operations especially—“you can’t make the numbers work.” He says partnerships need to be forged between investors and land conversation trusts, which can lead to price-lowering conservation easements that “drive down costs and enable farmers to buy [land] further down the road,” he says. Iroquois Valley works with land trusts in New York, Vermont, and Maine and with the USDA’s Farm Services Agency, which helps beginning farmers access low interest rates. Moving forward, “We’re going to have to have a lot more resources, and many more significant partnerships, says Opheim. She also maintains that potential long-term success necessitates the company investing in diverse operations—both in terms of geography and of types of food production—as climate change renders some regions and crops un-farmable. As for the Jones-Crabtrees, they’re hoping they’ll soon be able to purchase a portion of the land they’re leasing from Iroquois Valley. Anna still works part-time off the farm, but Doug has been able to devote himself to it full-time, which has helped the couple expand, try out some unusual crops—such as beluga lentils—and seek out beneficial relationships with buyers. 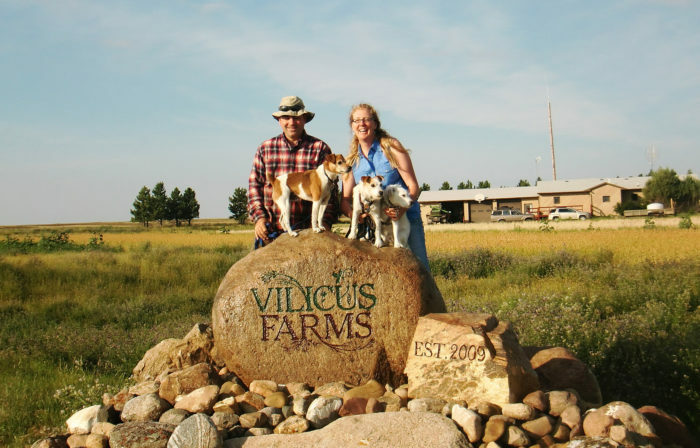 Every year, Vilicus Farms edges closer to becoming a full-time business for both of them. What comes next is addressing another monolithic barrier to success in Montana: finding more dedicated organic farmers to come and join them in working the soil. 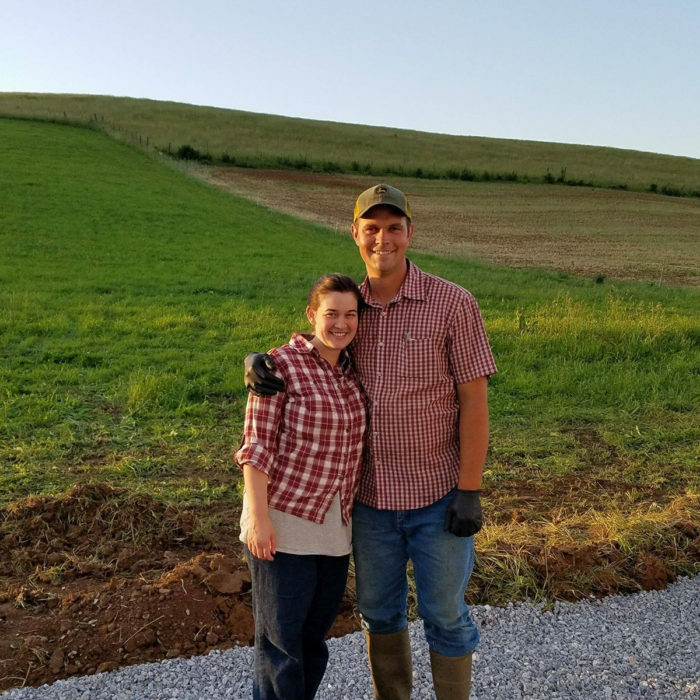 To that end, the Jones-Crabtrees are on the lookout for another young farming couple that might want to purchase some of the acreage they currently lease from Iroquois Valley. “Know anyone who wants to buy some land?” asks Crabtree. I cannot wait to celebrate and participate in this retail investor offering later this year! Once again, Civil Eats, thanks for covering this important part of the fabric of our food system - financing for farms! Certified Organic Farmer in the upper Midwest looking for capital support of land investment solely for organic production. Our farm currently raises organic feed or food grade corn, wheat, oats, barley and other small grains. We also raise organic alfalfa in our rotations. The farm uses the Albrecht system to restore soil health and balances.